Learn a new golf skill! Golf is not a stagnate game. It is impossible to do nothing and expect to improve. It requires constant effort to sustain and hone our skills. Granted, the type of effort and level of dedication varies from player to player. Critical to building on past successes is to have a clear vision of what we can reasonably (and sometimes unreasonably) achieve over particular playing season. Where I live, our golf season is approximately 7 months long. Starting in mid-April, it lasts until 31 Oct. Depending on the actual temperature that end date can shift in either direction by 2 weeks. So my playing season is 5 months shorter than some of you reading this article. This significant time reduction forces me (and others in similar situation) to approach our expectations differently than the year around player. The many years of a shortened season has taught me how to reasonably manage my expectations. In years past, I had an expectation that I should improve all the time. I was panicked by the lack of time and tried to fix too many things at the same time. Sometimes the results were positive, however, the majority of times I was spinning my wheels. After several years of not meeting my expectations, I took an introspective look at my golf game. I applied the process of learning other skills and realized that I was setting myself up for failure. I needed to change my approach and as such I became and continue to be more successful in improving my game. My euphony was nothing earth shattering; it was pretty simple now that I think about it. 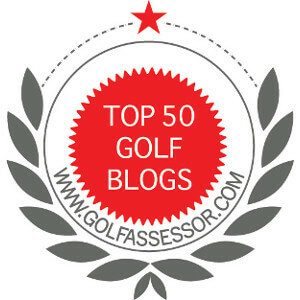 I developed the: learn – practice – sustain method to lower golf scores. I did not read this anywhere and I am not sure if this process is out in the golfing world in other forms, but it is a process I developed that works for me during the shorten golf season. Learn – be taught or develop a new skill. It can be very detailed or simple depending on your requirements. Determining what new skill to develop will vary and that is a decision outside the scope of this article. It is suffice to say that learning a new skill takes time. If it is important enough, there cannot be a time limit. You will decide when you have learned the new skill and you can move onto the practice step. Practice – the practice step is simple. You find drills (or make up your own) that reinforces your new skill. It is important to practice enough in order to make your new skill second nature. Additionally, practice helps refine your new skill to produce the results you expect. Sustain – this step can be the most challenging. Sustaining a new skill means that you must use it all the time. With some skills, we see an up and down ride of scores, but that is to be expected. Of course during the sustain portion of my plan, revisiting the practice stage is important. This is more as a reminder to keep our new skill sharp. This simple process can happen in the quickly or slowly depending on the complexity of the newly learned skill. By using the learn – practice – sustain model, I can learn multiple skills if required. However, I caution you not to learn two skills (weight shift with driver and creating more lag to increase torque with your long irons) that are very similar as it will make the learn process very difficult. The rigid and focused steps of this process allows me to work on several skills simultaneously. Thus, in a shortened golf season, I can improve my game at an accelerated rate. Here is a simple example of what I mean. About 10 years ago I needed to improve my contact during my putting stroke. This inconsistency caused all sorts of trouble and I 3 putted more often than I should. I examined my shortcoming and settled on the ‘Back 6 Forward 12’ skill. Basically, I would follow through with the putter head twice as far as my draw back. I immediately noticed positive results during contact between my putter and the ball. Next, I used drills like my 3-6-9 putting drill to understand how far I needed to take the putter head back from varying distances. Of course there are other variables, but I improved my putting consistency where 3 putting became an oddity. Lastly, I entered the sustain phase. I used my new skill always. At first it was a bit challenging, but the results quickly reinforced the learn and practice phase. Now, many years later, I use the ‘Back 6 Forward 12’ all the time and it is a fundamental to my putting. The entire process took about one week to reach the sustain phase. This was perfect considering my 7 month golf season. Building on basic golf skill is challenging at the best of times. When under time restrictions, it is even worse. I have found that my learn-practice-sustain method works very well for me and continue to use it today. What do you think? Do you use a similar process to learn a new golf skill? Welcome to The Grateful Golfer. I hope you enjoy my musings. I look forward to hearing from you again. Jim, when I try to learn a new skill, it’s often thought up that day or the night before. I’ll head out to the range or practice green and give it a go. If it sticks great, if not, oh well. You are to be commended on your methodical approach! I did forget to mention during any of the phases that if the skill I am learning does not work for my game, I do not stick with it for long. Thanks for the help.